Using a travel drone camera on any outdoor adventure provides an easier way to scope out routes or get aerial and up-close shots without a challenge. 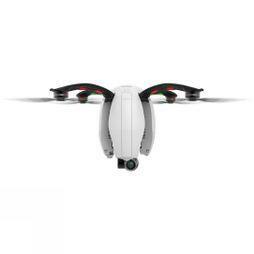 At Cotswold Outdoor, you'll find an impressive range of quadcopter drones with a camera to capture all the shots you need, smoothly and seamlessly. If you need the best drone for your next backpacking trip or outdoor adventure, our selection includes brands like PowerVision, DJI, and GoPro. Choose a quadcopter with cameras, which is perfect for taking high-quality photographs or videos of locations and sights that may be out of reach on foot. Controllable via a remote, many of our models have high definition camera functionality and video resolutions so you always get the perfect shot. In our range, you'll also find quadcopters with cameras and GPS navigation so you can plan your route and find your way back to camp more easily, thanks to advanced technologies which also allow you to detect and avoid obstacles. Simple to fold away, they will enhance any outdoor kit. 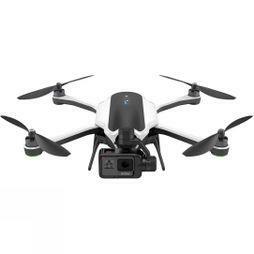 Explore our selection of travel drone cameras.